HP has shown a raft of new products at the CES 2017 in Las Vegas. The new and refreshed portfolio mainly consists of HP premium range PCs, plus an attractive new gaming monitor. 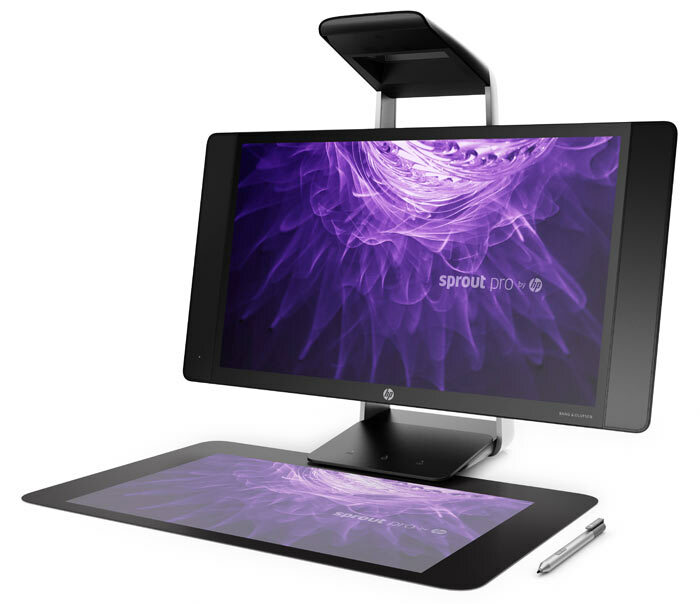 A particular interesting update from HP comes with the next-generation Sprout Pro. The 'old' Sprout was already a fascinating machine, with unique design and a certain creative target market. To recap, the original HP Sprout was an immersive AiO PC with a multi-touch screen, built-in projection system and 20-point capacitive touch mat. The Intel RealSense equipped machine was designed as a 'creativity station' which enabled the "blending of the physical and digital worlds that you live in". The new Sprout Pro is said to be sleeker and more streamlined in operation. Its 3D scanning is of a higher precision than previously, and users can add a new pressure-sensitive active pen, and work in the new WorkTools suite. 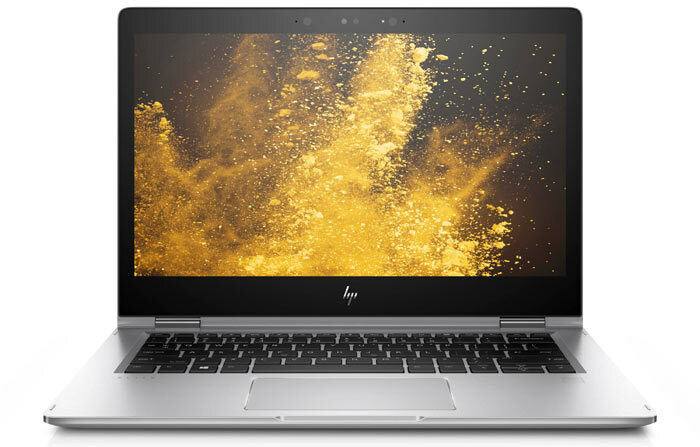 Inside HP's 23.8-inch Full HD touchscreen equipped Sprout Pro you will find an Intel Core i7-7700T processor, an Nvidia GeForce GTX 960M GPU, 1TB of SSHD storage, and up to 16GB of RAM. The new machine is expected to become available from March. 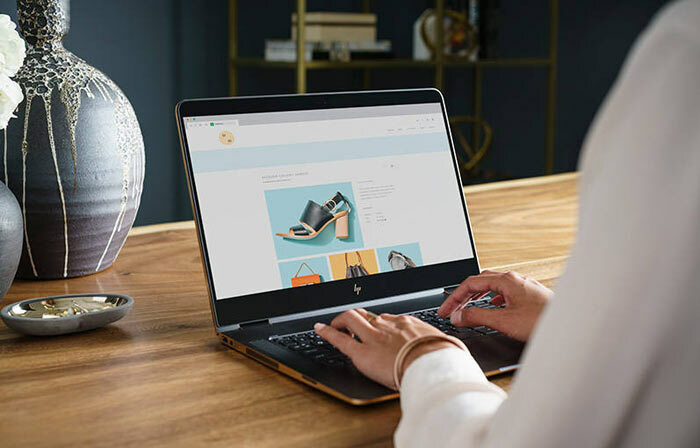 HP also introduced a new EliteBook x360 and Spectre x360. As you might guess, both come with 360 degree hinge mechanisms for operational flexibility. The Elitebook 360 offers a 13.3-inch 4K UHD display and is just 14.9mm thick. It is equipped with dedicated conferencing keys, powerful audio, pen support, and Windows Hello support. This convertible offers up to 16 hours and 30 minutes of battery life. The new Spectre 360 uses a 15.6-inch 4K screen with micro-edge bezels. Its bigger battery helps this larger screen model offer the same battery life as its 13.3-inch FHD predecessor: up to 12 hours and 45 minutes. Buyers can configure the build from the latest Intel processors, and up to Nvidia GeForce 940MX graphics. The final new computer shown off by HP at CES is an AiO. 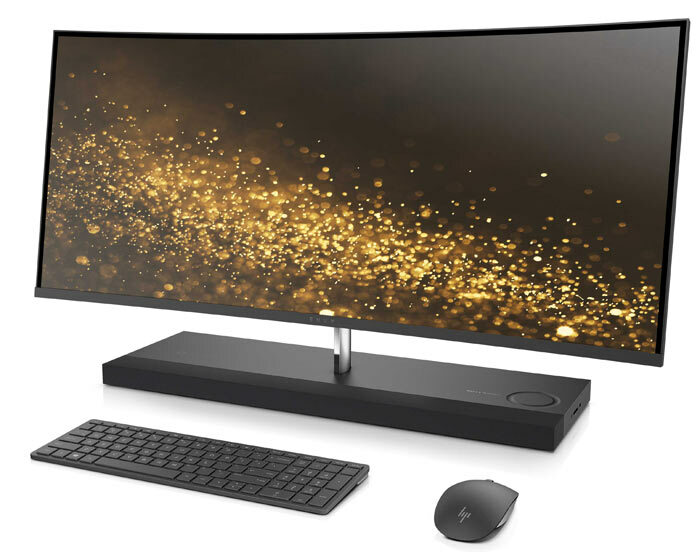 HP's ENVY Curved All-in-One 34 improves on its predecessor by packing greater computing power, a new Technicolor Colour Certified Ultra WQHD micro-edge display, and B&O sound system. This AiO will become available later this month priced from €1,999. 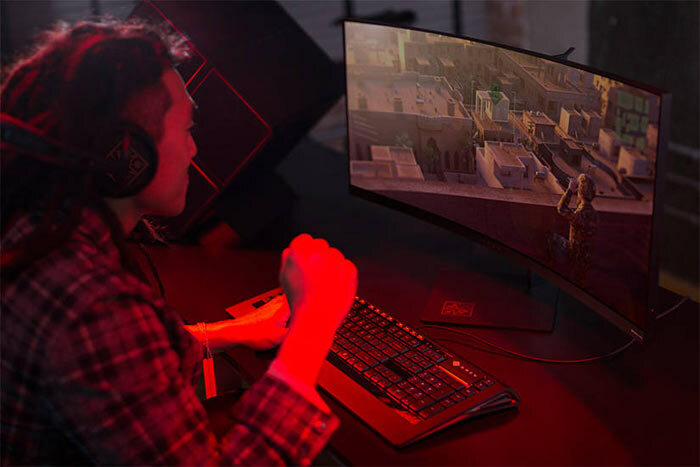 HP also launched a new WQHD 21:9 gaming monitor. The HP OMEN X 35 Display is again a curved display (1,800R). Its gaming credentials are boosted by G-Sync technology with a top refresh rate of 100Hz. Aesthetics are enhanced by the 3-sided micro-edge LCD design with less than 7mm along the left, right, and top edges. You should be able to buy this monitor in Europe from April onwards, the price will be about €1,299.